Posted in China 中国, Project Development 开发, Property 地产, Real Estate 不动产, What’s Hot 流行热点. Jumbo borrowers who went into foreclosure a few years ago are learning the hard way: You can’t go home again. Since spring, lenders say they have increasingly been hearing from would-be buyers who went through foreclosure. “We get the calls routinely,” says Al Engel, executive vice president at Valley National Bank, based in Wayne, N.J.
Callers include self-employed borrowers whose income dropped during the recession, causing them to fall behind on their mortgages, but who have since financially recovered. Also affected are borrowers who walked away from their homes after their values plummeted and owed more on their mortgage than the house was worth. Now that home values have stopped falling in most housing markets, they want back in. Terri Conrad and her husband saw their 4,500-square-foot, five-bedroom home in Carbondale, Colo., foreclosed on last year. They purchased the home for $1.25 million in 2007, but its value had dropped to roughly $700,000 by 2012. Ms. Conrad, who manages finances of affluent families, says the couple tried refinancing but was denied. Although they could afford the payments, they decided to walk away because they didn’t want to keep paying for a home that was worth significantly less than the loan. They are now renting in Houston and plan to wait at least a couple of years before applying for a home loan again. “I’m worried about who’s going to give me a mortgage,” she says. Most lenders who offer private jumbo mortgages, which start after $417,000 in most parts of the country and at $625,501 in pricier housing markets, remain very selective and limit themselves to borrowers with the strongest credit profiles. Foreclosures stay on credit reports for seven years from the time homeowners default on their mortgage. What’s more, a foreclosure can lower a borrower’s credit score by 100 points, says John Ulzheimer, a former manager at FICO, the credit score used by most lenders. Borrowers who were previously always on time with payments would see a bigger drop. For instance, someone with an 820 FICO score (FICO scores range from 300 to 850) could drop to 580 following foreclosure, he says. That borrower could need more time to work his or her way back to a top score before getting a mortgage. Separately, many affluent borrowers went into foreclosure later largely because they were able to tap their savings to pay their mortgage. 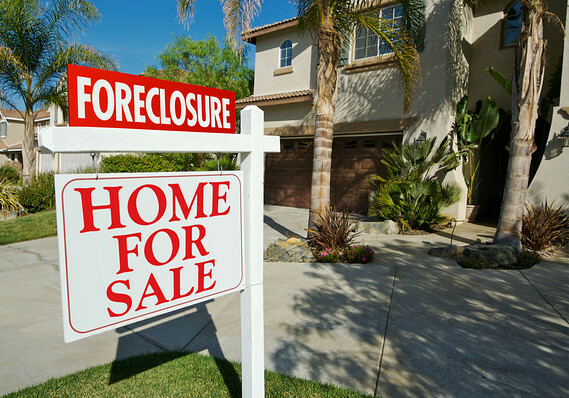 Foreclosures on homes worth over $1 million peaked in 2011, while foreclosures on homes worth less than $1 million peaked in 2009, according to RealtyTrac, which tracks real-estate data. By delaying foreclosure, they will likely have to wait—possibly until after housing has fully rebounded—to get a home loan. Borrowers who intentionally default—the ones who walked away from their homes—are less likely to be approved for another mortgage soon after. Lenders that originate private jumbos often follow guidelines set by Fannie Mae and Freddie Mac, which require strategic defaulters to have re-established their credit profile for at least seven years after foreclosure in order to get a mortgage. But experts say more flexibility among lenders could emerge in the next year. A recent change allows certain borrowers to become eligible for mortgages backed by the Federal Housing Administration in as little as one year after their foreclosure. Previously the waiting period was at least three years. “This may be an influence on the private lenders to loosen a little bit on their waiting period,” says Daren Blomquist vice president at RealtyTrac. Borrowers who overcame a financial hardship that was out of their control and improved their credit profile and are shopping for a mortgage should consider smaller lenders. Valley National Bank and Fremont Bank, which is based in the San Francisco Bay area, say they are open to working with some private jumbo applicants in as little as 2&GBP 189; to three years, respectively, after the date of foreclosure. Posted in Luxury Homes Honolulul 夏威夷檀香山奢侈房地产, Luxury Real Estate 夏威夷奢侈房地产, MLS Real Estate 房地产信息系统, News 新闻, Project Development 开发, Property 地产, Real Estate 不动产, Vacation Home Caretaker 度假屋管理, What’s Hot 流行热点. – maintaining records of expenditure, accounting, costing and billing. With our engagement, we will enable smoother processes and better workflow of your project. We are here to assist you to managing your project in effective and efficient manners while maintaining a strategic focus and staying on top of your budgets.